The Program Team works together to run the may programs that Black Rock Retreat offers including, Summer Camp, Blast Day Camp, Outdoor Education, Winter Camps, Lock-ins, and Group Activities. Ben Herr has a long history with Black Rock Summer Camp, attending as a kid, working on summer staff for six summers, and spending the last two and a half years on our full-time staff. Having learned so much and growing personally and spiritually due to his involvement at Black Rock, he is passionate about providing that experience to over a thousand kids each summer, and more throughout the year. 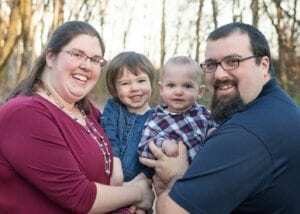 He received an Associate’s Degree in Biblical Studies & Youth Ministry from Rosedale Bible College and spent 4 years working as a Residence Hall Advisor at Lancaster Mennonite School, mostly with international students. 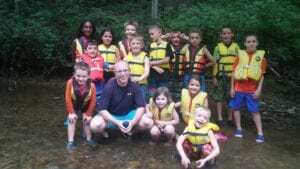 After working in youth ministry, Jon Hill followed the call into camping ministry in 2007. In 2009, Jon completed a “Leadership in Camping Ministry” internship at Timber-lee Christian Center in Wisconsin. After working seasonally as a counselor and outdoor education instructor at Pocono Plateau Camp & Retreat Center, Fair Haven Camps, and Black Rock Retreat, he began working full-time at Black Rock Retreat in 2012. Jon met his wife at Black Rock Retreat in 2009 and together they have a four-year-old daughter and a two-year-old son. Jon’s favorite part of working at camp is seeing campers and students step outside their comfort zones and try something new, especially on the ropes course! Camp surrounds you with friends and counselors who are there to support you as you touch a snake for the first time, learn to cook dinner over a fire, go down the zip line, and take important steps in your own spiritual journey. Camps have played a significant role in Jon’s own spiritual journey and he wants Black Rock Retreat to be a place where life change can happen for every camper and student that comes. Nicklas “Von” Frede has been working in Camping Ministries since 2013 both in counseling and leadership roles. 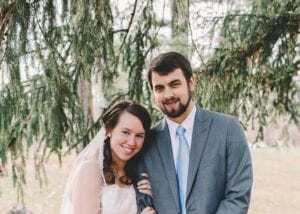 In 2016, He graduated through the Leadership and Training Development program at Forest Springs Camp and Conference Center and has a degree in Camping Ministries from Cairn University. Along with his experience at many camps across America, he has also volunteered time working at Musana Camps in Uganda helping plan and run programs and activities for groups, including their young adults R.O.P.E.S program. Camping Ministries is important to Nicklas because He has seen the amazing impact and work God has and can do in just a few days away from home. All Programs; whether it is one as adventurous as High Ropes or as educational and a Creek Study. As fun as an All Camp Game or as personal as a one on one with a counselor, all are ways God has used and continues to use to reach kids. There is no limit to what tool God may use to impact a child’s life. This is what excites and inspires Nicklas to be part of the Program Team at Black Rock Retreat and to serve God. Sherry Lewis started attending Black Rock Summer Camp as an incoming 6th grader, worked on summer staff for four summers, and will be starting her twelfth year on our full-time staff in February. Sherry dedicated her life to full-time ministry while here at Black Rock during a discipleship training week when in high school. 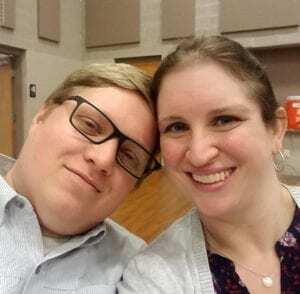 She received an Bachelor’s Degree in Biblical Studies & Youth Ministry from Clarks Summit University and lives in Lancaster with her husband David, whom she met at Black Rock many years ago. Titus has been with Black Rock Retreat for 5 years. Titus loves being a husband to Rebecca and a dad to his two amazing kids who are also campers at Black Rock Retreat, Ella and Jacksen. Before coming to Black Rock Retreat, Titus taught middle school science for 8 years, served as a camp program director and an astronaut (not really- but that would have been cool). 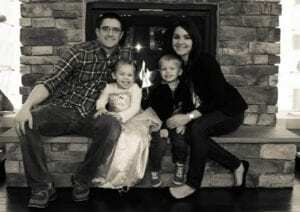 Titus received his bachelors of science from Cairn University in 2001 and is currently studying for his master’s degree. Titus is excited to be leading the programs here at Black Rock Retreat and is blessed to have such a great team!